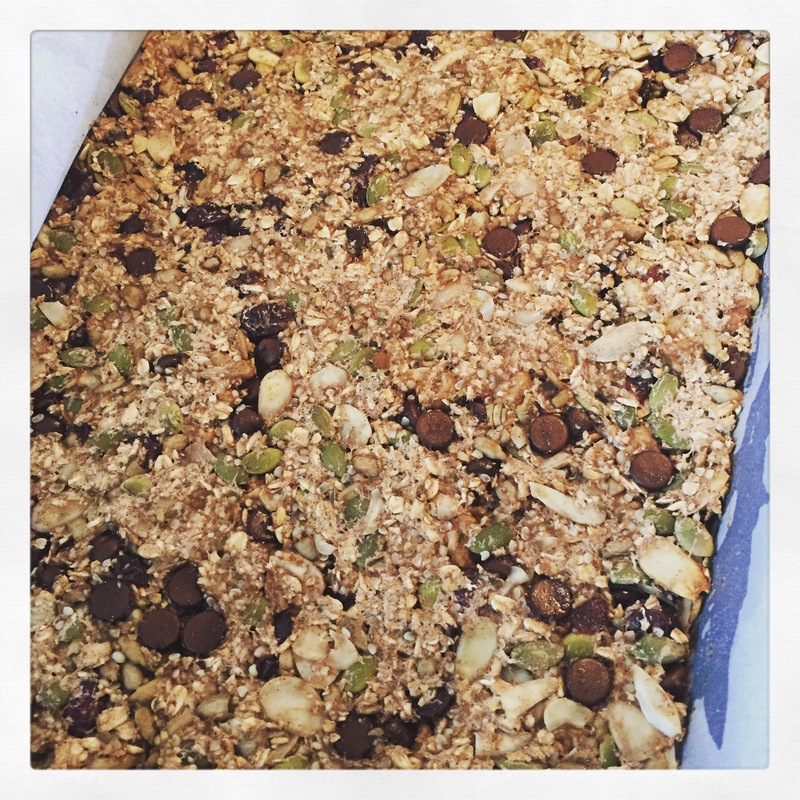 ohsheglows Feel Good Hearty Granola Bars. One word…delicious!!! I can’t eat yogurt anymore as I have an intolerance to dairy and really miss having all of my nuts and seeds. I just can’t eat them on their own because they’re hard to get down for me. This is a great alternative for me. It’s sweet and really healthy. Guess what you use to bind it together…………………….BANANAS!!! I would never have thought to use them to bind together but it seriously works. I also added chocolate chips to make it a tiny bit sweeter just in case they didn’t turn out exactly like I had planned. So quick to make and easy tasty ingredients. Recipe below. Tips: To wrap these up for freezing, I wrapped the bars individually in parchment paper using 6-inch by 12-inch pieces of parchment. After wrapping up a bar, tie it with string or tape it to secure. Finally, place all of the bars into a freezer-safe zip lock bag, press out all the air, and then seal it shut. I will update this note when I know how long the bars last for, but I expect they will keep for over 1 month in the freezer. 2) These bars aren’t super sweet, so if you prefer something sweeter you can always add a touch of sweetener. 3) I also expect these would be great with chopped dark chocolate added in!